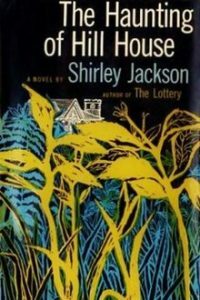 So what did horror-meister Stephen King think about the Netflix series, The Haunting of Hill House, a revisionist version of the 1959 classic ghost story by Shirley Jackson? He tweeted that it was great, practically a work of genius. And remember, he is no fan of revisionist stories, especially in light of what director Stanley Kubrick did to his novel, The Shining. (See my post, “The Ongoing History of The Shining: Part Two.”) King disliked it so much that, years later, he would produce his own version of the story. With that tagline, I offer a bare bones overview of the series, given its length (most episodes are over fifty minutes, some more than an hour) and complexity. The story is told in two primary timelines, one in the present, the other twenty-six years earlier. There are also many flashbacks within flashbacks, but they all serve a purpose in advancing the plot, and at no time did I find myself scratching my head over where or “when” we were. Will the Crain siblings dare to set foot in Hill House again? When we meet the adult siblings in 2018 we immediately note that they are all dealing with a ton of baggage from their brief time in Hill House. We don’t know the specifics as yet, but in the first episode we see that, at some point, Hugh fled the house with the kids, leaving his wife behind, and that she died there, likely a suicide. The older Hugh, now played by Timothy Hutton, lives away from all of his children, if not estranged, then at least alienated. 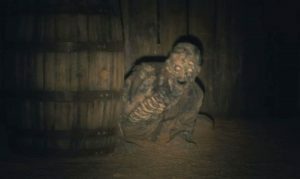 Who’s hanging out in the basement? And I’ll leave it at that. 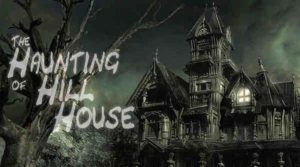 The Haunting of Hill House offers up enough scares to satisfy horror fans, but at its heart is a compelling tale about a family torn apart by the ghosts of its past, and its attempts to finally confront those nightmares. Be prepared to binge. Throwback Thursday: Romantic Horror—An Oxymoron? Throwback Thursday: Films About Writers—Joan Wilder Rocks!